A retired trapeze artist leaves his family and runs away with a nimble seductress to Berlin. 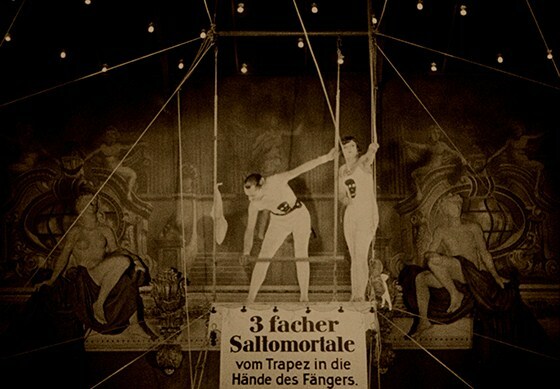 They team up with another trapeze artist and become the lead attraction at the city’s famed Wintergarten. Sexual jealousy then complicates the plot, but the real attraction here is cinematographer Karl Freund’s unleashed camera, which provides dazzling complement to the heart-stopping acrobatic feats and shadowy goings-on far from the center ring. The pristine new restoration by Germany’s F.W. Murnau Foundation restores the film’s expressive tinting and toning.